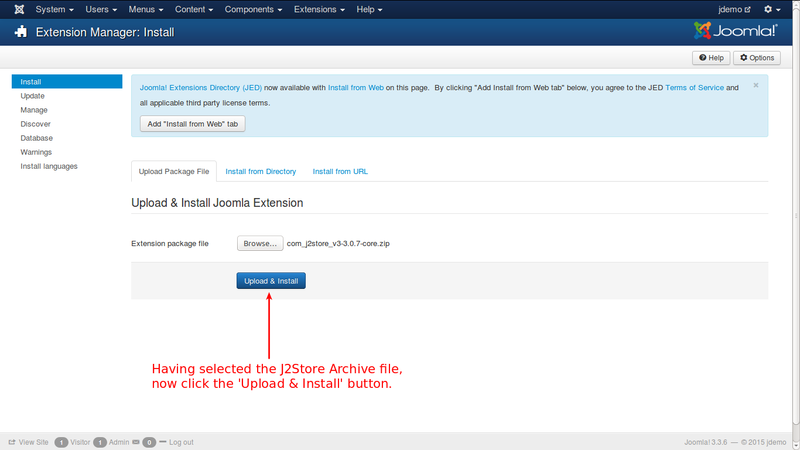 To install J2Store, you need j2store archive downloaded or purchased from www.j2store.org. There are four plans available in j2store shopping cart extension. 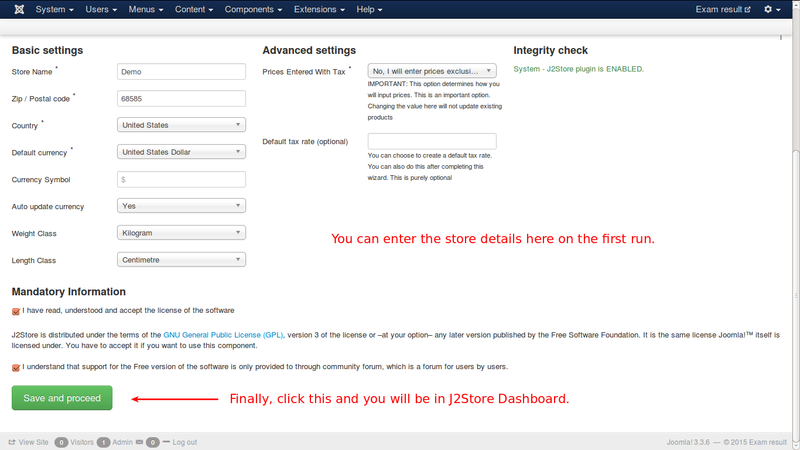 Basic plan is free and gives you access to download J2Store Core version from www.j2store.org. 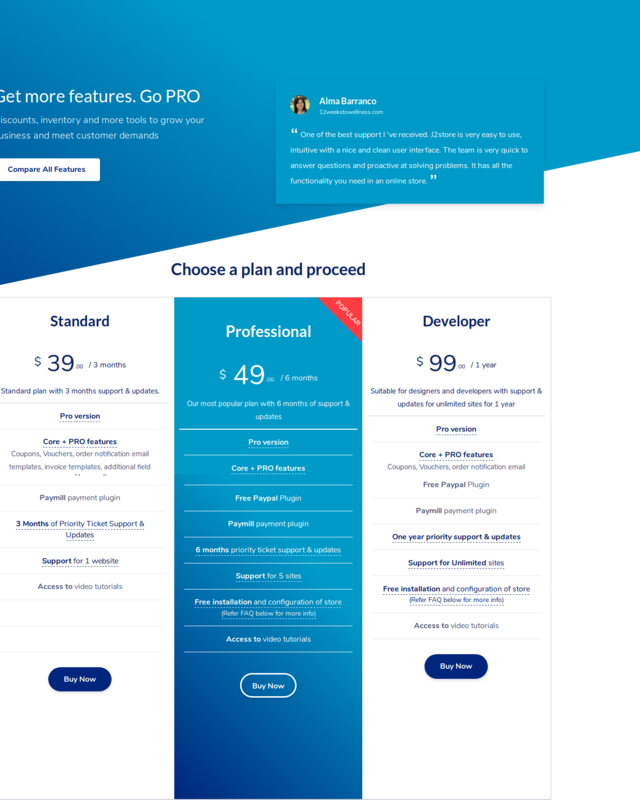 Remaining are for-a-fee plans which gives access to J2Store PRO version. You can choose any of the four and get a copy of the extension. 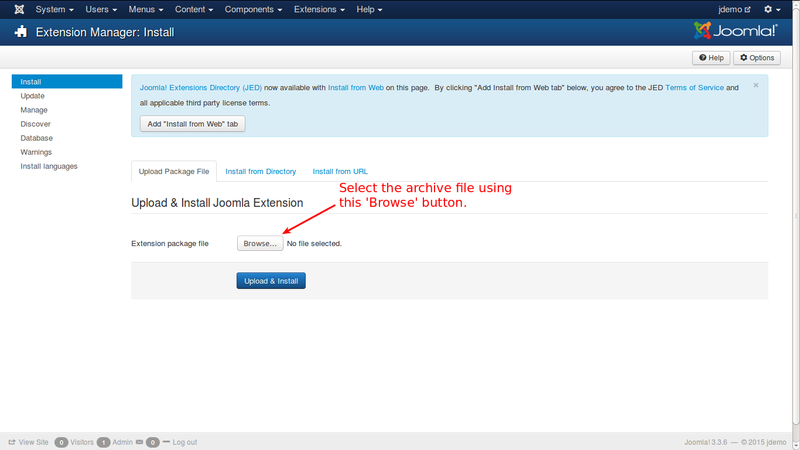 In your Joomla control panel top menu, go to Extensions -> Extension Manager, as illustrated below. 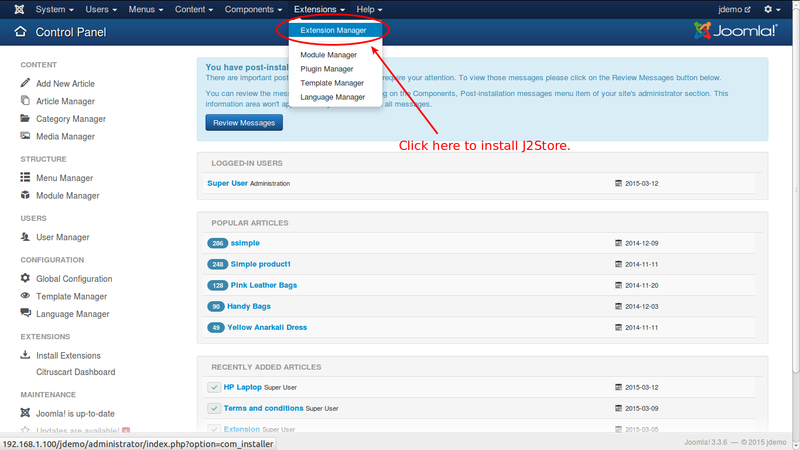 As illustrated, select the package file and click 'Upload and Install'. 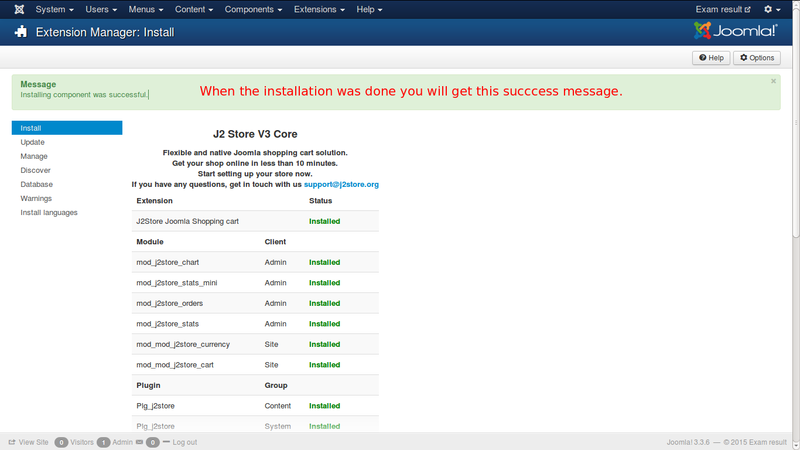 J2Store is now installed and you will get this success message, as illustrated below. Enter the details for your online store as shown below. 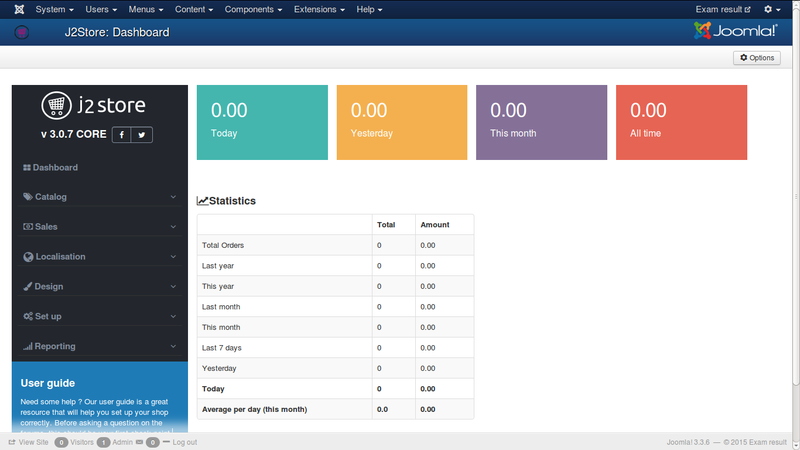 And here is the J2Store Dashboard. 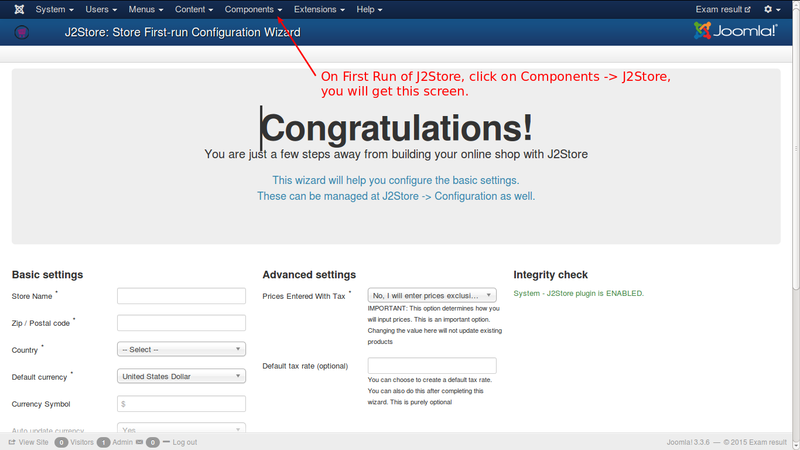 Now, you are powered with j2store. Build your online store, within minutes and happy selling!